Size is no object, large or small! 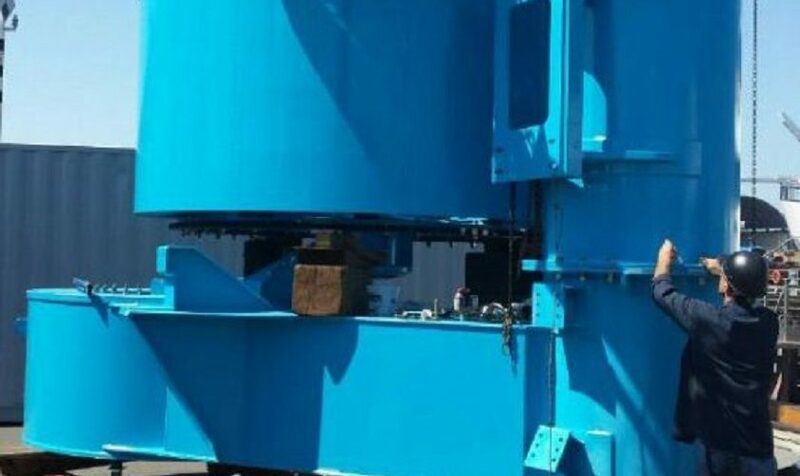 We design, fabricate, repair, and move large heavy objects to your specifications. Can't come to us? Our Mobile Services team will come to your project - on land or at anchorage. No project is too large or complex for our Bay Machine and Fabrication craftspeople. Bay Machine and Fabrication craftspeople can help you on any project of any complexity. 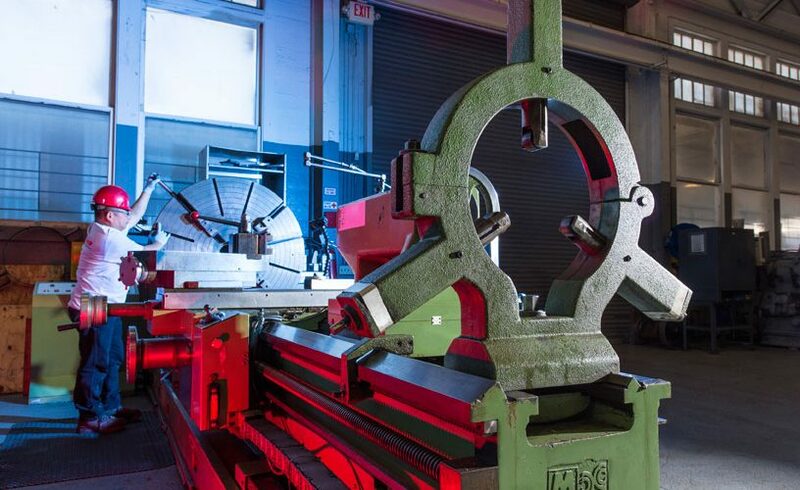 Bay Machine and Fabrication's craftspeople combine old world craftsmanship with the efficiency and accuracy of modern state of the art machinery and tooling. Structural craftsmen capable of any complexity project backed by our engineering staff results in the highest production rates and superior quality. Highly skilled craftspeople in any number of metals. Taking your project from targeting to fit up and hydro-testing ensures you receive the right product the first time, every time. 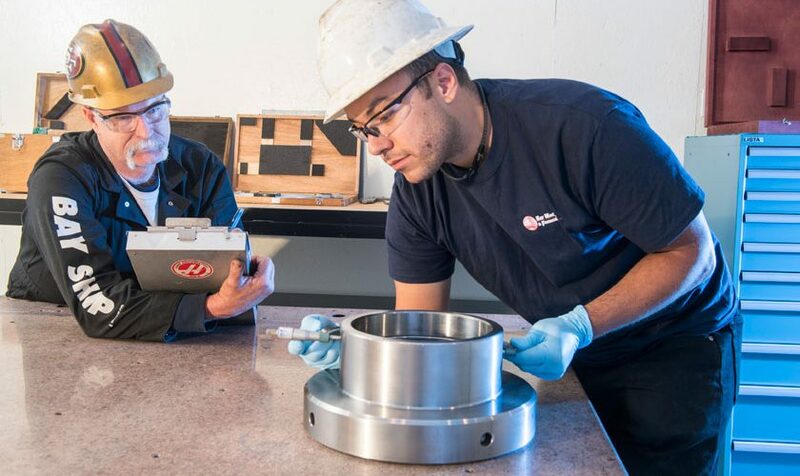 Unrivaled skill and excellence in hydraulic repairs and solutions. One stop shopping at our unique facility with a highly trained and specialized staff and equipment. From mission critical components for municipalities and power generation, to prototypes with evolving designs, and repairs of mechanical components; No one else can perform multi-disciplinery work as well as Bay Machine and Fabrication. 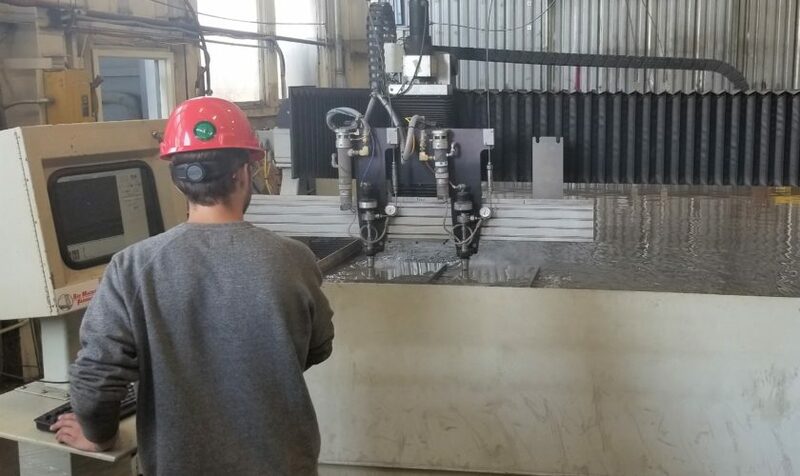 Bay Machine and Fabrication (BMF) is uniquely qualified and capable of handling your critical projects as a simple turnkey solution. 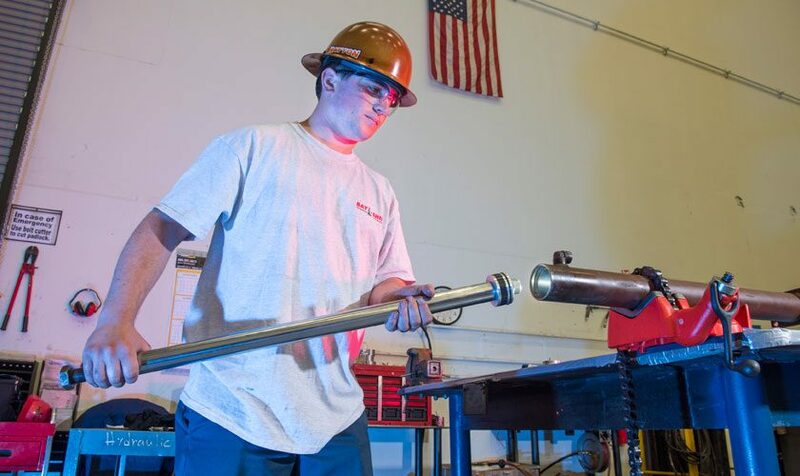 We have the capabilities to handle any size metal fabrication project from start to finish. Let BMF make your project easier! Precision waterjet cutting in a variety of materials. Mobilized team and equipment to go wherever you may need structural, hydraulic, or other work. Thorough work to understand your requirements and apply quality standards to get the right product the first time. Skilled in the most complex paint/paint preparation projects as a SSPC Certified QP-1 and International Paint dealer. Full service hydraulic repairs and fabrication including motors, cylinders, and hoses. Precision machining of both small and large pieces to high quality standards. Our commitment is to you, our customer, is your Absolute Satisfaction. We ensure your needs are fully understood and fulfilled with the highest quality in a time frame that works for you. We treat each project as if it were being done on our own product, taking pride in our craftsmanship and ability to manage the project to your expectations. Our commitment is to always ensure Absolute Customer Satisfaction on every job, and with every customer. Our goal is to provide the right product to you in the most expeditious manner possible, helping you to achieve your goals with the minimum level of effort needed by you. Bay Machine and Fabrication is know for its high standard of quality. 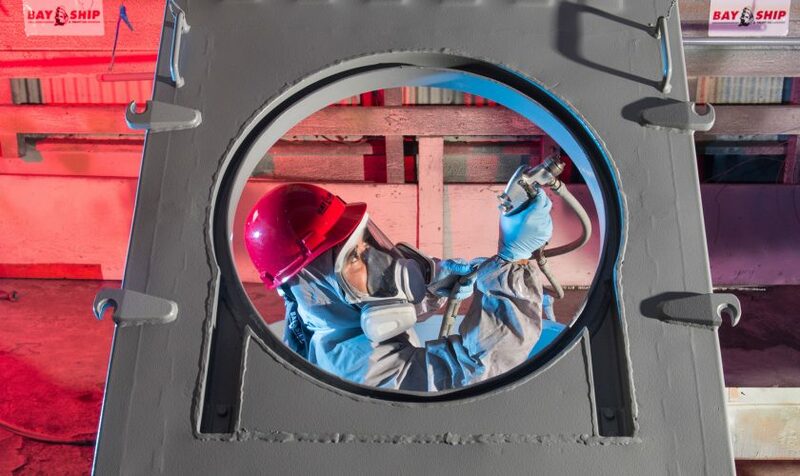 We are QP-1 certified by the society of protective coatings when it comes to sandblasting and painting; as well as NAVSEA certified to be able to build highly complex items for the US navy.